As I said in my first post of the new year, I have had a few fun blog series concepts running rampant throughout my brain for a while, just hoping to come to fruition. Today, I'm introducing the newest addition to my blog: Fat Tuesdays. New Orleans is a culinary mecca. Though the city is mostly associated with the quality seafood and Cajun and Creole cuisine, New Orleans has a plethora of unique desserts of it's own — from Cafe du Monde's famous beignets to pralines to bread pudding. In a sea of jambalayas and gumbos, I want to showcase the sweeter side to Louisiana cuisine. Tucked away off Broadway St. in Uptown New Orleans, Tartine is easy to miss. I urge you: DO. NOT. MISS. The French bakery and cafe is a popular lunch spot, serving up a host of delicious sandwiches and salads. The best part? 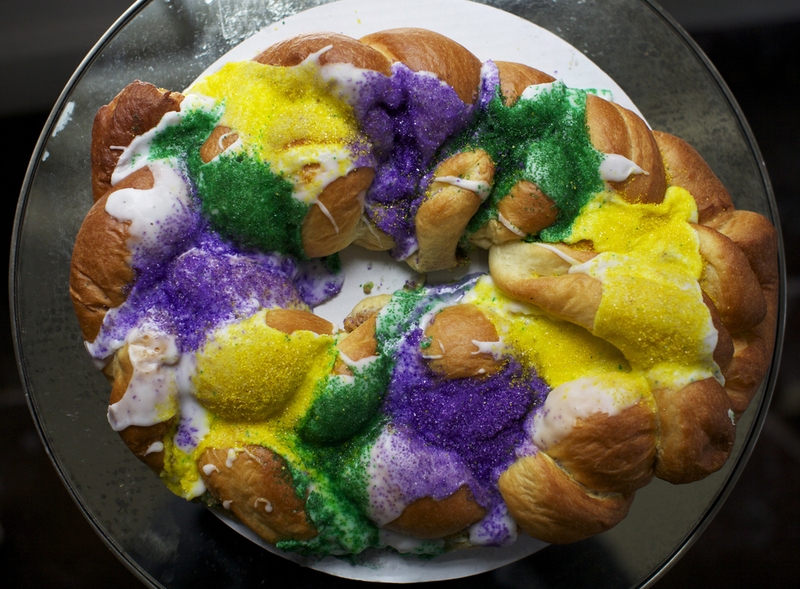 This king cake. When I tell you I have only had few things this good, I'm not lying. 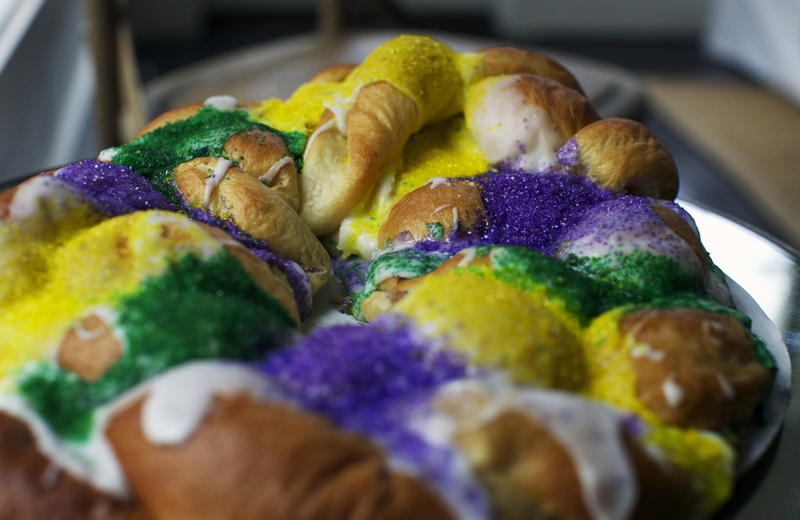 Tartine's king cake breaks away from the traditional model, oping for a cake made of moist and buttery braided brioche, filled with the most mouthwatering brown sugar and cream cheese filling. Just look at it. I'm getting worked up just writing about it. Somebody put me into king cake rehab. No but really, this is delicious and worthy of an episode or two of compulsive overeating. Four for you, Tartine!